Walking through any store the day after Thanksgiving, and for the next month, you are sure to be bombarded by Christmas gear. Children get so caught up in the colors, songs, and lights, that you want to share in their excitement. Problem is, despite the big smile on your face as you hear the kids sing Jingle Bells for the hundredth time, you really feel like hiding in a quiet, dark room free of holiday cheer. There is so much to do during Christmas time, it is no wonder parents are quickly overwhelmed. Putting up lights is expected from anyone with kids, then you have shopping for gifts; which takes a lot of mental energy. At least shopping for your children’s teacher can be an easy buy when you have a handy list of things they really enjoy, as Mommy Underground has previously reported. The economy has been improving since we have had a president in office that actually cares about us keeping some of the money we earned, but Christmas is still a financial strain for many. 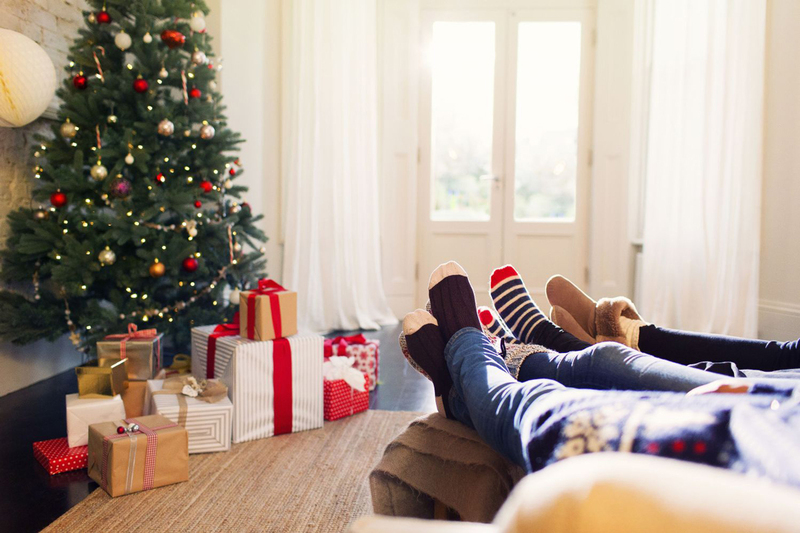 After you get through making all the purchases you can afford, you stress about whether everyone is going to like their presents, how you are going to get them distributed, and whether or not you forgot anybody important. And let’s not forget about family visiting. The kids are fighting right off the bat about sharing a room so the in-laws can have their own bed. Cousins from up north have high expectations of the menu as if you are running a five-star restaurant at the Hilton. All this while you take the kids to practice for the winter church production of the Nativity, and volunteer at the local food drive. “I love the holiday season, but it overwhelms me. I get depressed putting the lights up. I get depressed taking the lights down. I get overwhelmed with decorating. My wife gets mad because I am convinced the lights cannot come down until after Jan. 5. There are, after all, 12 days of Christmas, and the lights should stay up for all 12 days. There are many reasons one may feel down during these colder months, but there is one Christmas tradition that helps counter many of the negative emotions. Sharing the gospel of Jesus is increased this time of year, which some do through singing carols door to door, volunteering for those who are struggling, or just doing random acts of kindness. These things may not make all the Christmas pies cook themselves, but they can help put the joy back into tasks that have slowly felt burdensome over the years. Try and watch out for signs of anxiety and depression in others or yourself, this way you can counter the effects with treatment options. Social isolation is the “biggest predictor” of depression during the holidays, according to Healthline. Some start with a small circle of friends and family, but it does not affect them until Christmastime comes around and they realize there is no one to share it with. Or, others may just withdrawal to avoid stressful situations that tend to occur during this time, like Christmas parties, wrapping presents, and family events. Losing a loved one often becomes painfully relevant when family is gathering together, as well, making those in mourning feel uninterested in seeing all the happy faces. Whatever the reason for the anxiety or depression this season, the treatment to counter it is basically all the same according to the experts. Have someone you can talk to about what you are experiencing without judgment or guilt, like a spouse, best friend, or therapist. Be sure to get outdoors. Despite the chilling temperatures, the sun is still shining for a good portion of the day, giving mood-boosting properties that are hard to do without. Some holiday specific things you can do to increase your mood according to Healthline are to start a new tradition, “don’t give in to holiday pressures”, volunteer somewhere, and get out in nature. The increased hours of darkness, colder weather, and stressful responsibilities can make this time of year hard on anyone, forgetting why we celebrate it in the first place. So, get your hat, jacket, and gloves and go for a brisk walk, letting go of the worries that have accumulated in recent weeks. Smiles are contagious, giving one to others in words or actions can help put a little pep back in your step. You are not alone this Christmas if you feel happy, sad, depressed, or anxious; there is always someone experiencing the same emotion as you. Just remember change is inevitable; we hope it’s for the better. Please let us know in the comments section if you feel down during Christmastime and why, or if you have ways to avoid the stress.